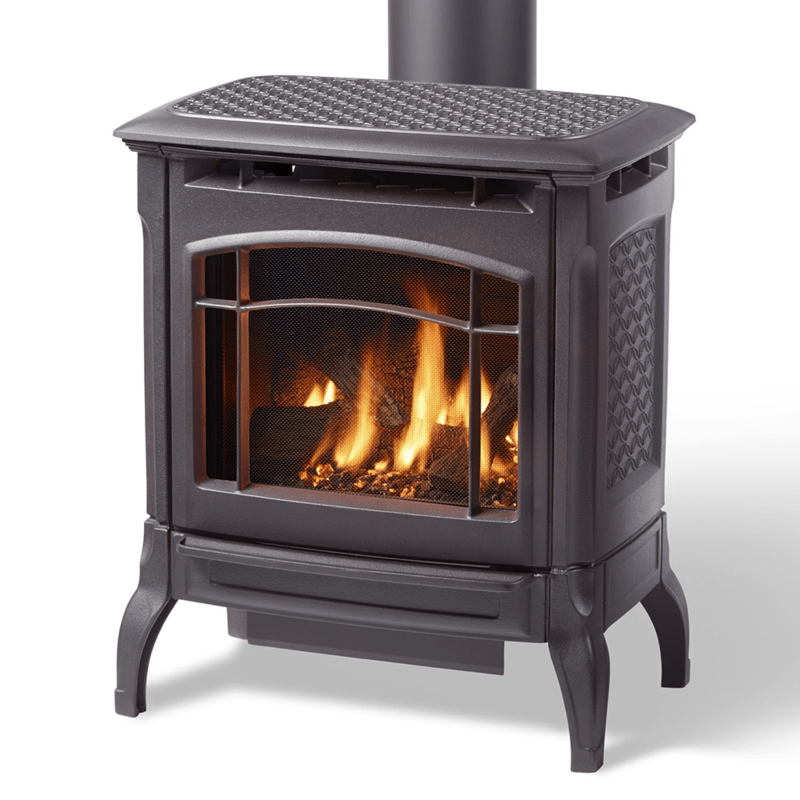 Our Stowe gas stove strikes a harmonious balance between size and heat output. 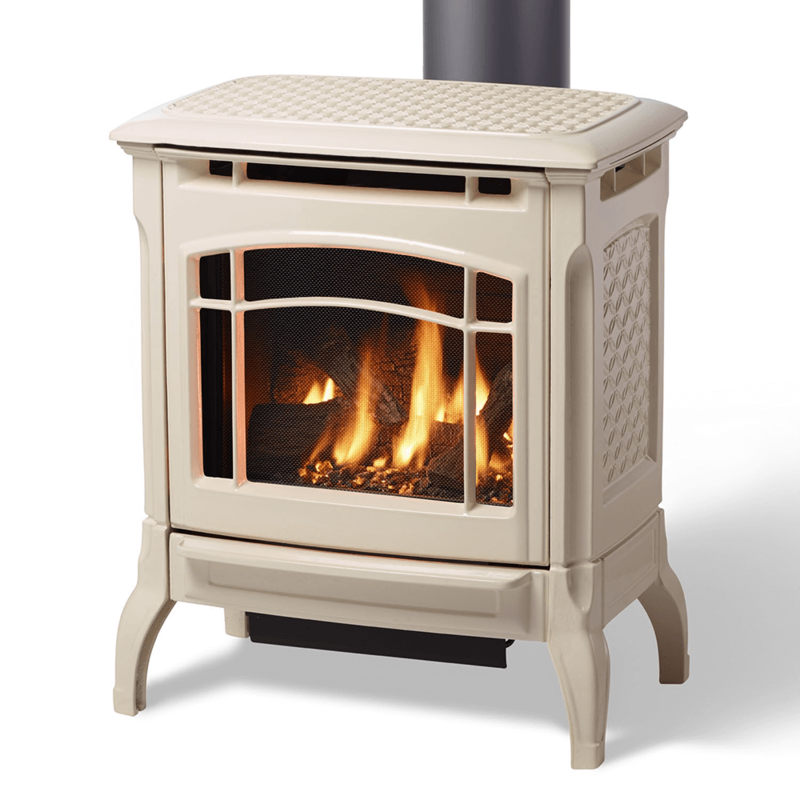 Its proportions and flexible venting options allow the Stowe to fit perfectly into distinctive spaces. The Stowe provides cozy ambiance with efficient on-demand fire. Quality: Hearthstone stoves are constructed using fine-lined European cast iron. The quality of our iron is displayed in the intricate details of each stove and the overall craftsmanship of the finished product. Our gas fires are awe-inspiring, boasting sculpted ceramic logs and a warm, flickering glow. Protective screens, integrated into each stove, create a low profile appearance that nearly disappears when the fire is burning. 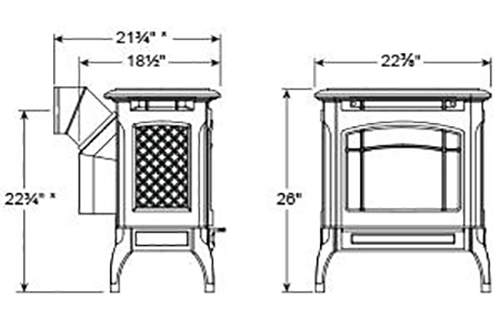 Comfort: In addition to large viewing areas, all Hearthstone gas stoves incorporate a cast iron heat exchanger, pulling heat out of the firebox and increasing the warm convective air flow. As an on-demand heat source, Hearthstone stoves are the perfect zone heating solutions delivering the heat you want, when and where you want it. Convenience: All of Hearthstone's gas products are remote control operated. Turn the stove on and off, adjust the heat output, or program the stove to fit your lifestyle. Our on-demand pilot system saves you money by turning off the pilot after an extended period of inactivity.